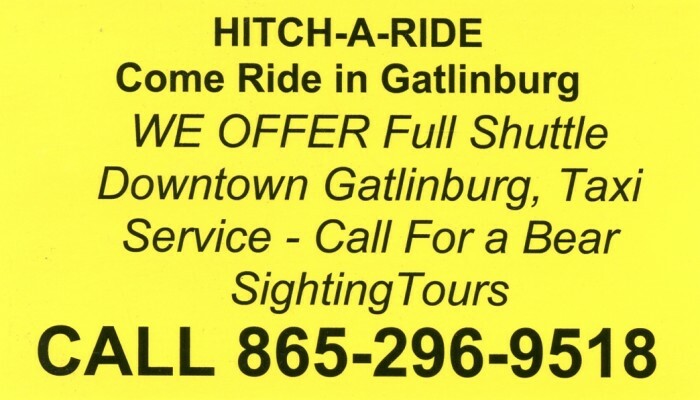 HITCH-A-RIDE will pick you up in the downtown Gatlinburg Tennessee area and get you where you need to go. 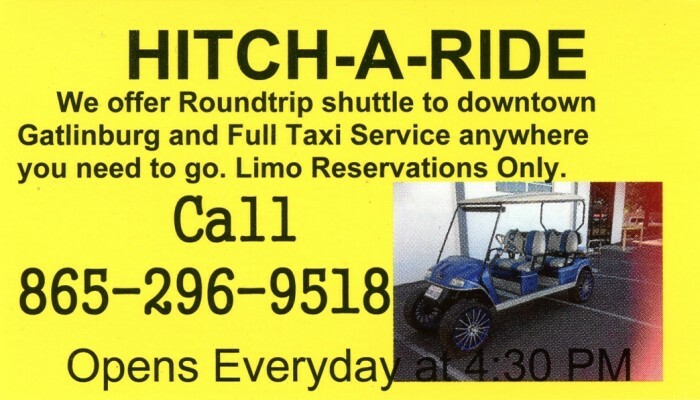 HITCH-A-RIDE is focused on providing high-quality service and customer satisfaction - we will do everything we can to meet your expectations. We Now Offer Bear Sighting Tours. along with a variety of offerings to choose from, we're sure you'll be happy working with us.